How much do I love a book survey at the end of the year? A lot. Not so much that I would get my arse into gear and actually post it at the end of the year, obviously, but since I’m only a day late, I am still demonstrating a reasonable level of love. Also, given how woefully far behind on reviews in 2013 I was (note was…2014 is a clean slate), the 2013 edition will serve as a handy way for me to do a short babble on the many (many, many) books that I read and loved but didn’t quite get round to reviewing. The Gathering Dark/Shadow and Bone by Leigh Bardugo. There’s a lot of YA fantasy around at the moment but the Grisha series seemed to be the one that bloggers the world over put head and shoulders above the rest. It’s been on my eReader for years and I’d kind of been saving it in a way for a time when I wanted to really get into a new fantasy series. It was fine and I liked it but it wasn’t as unique as I was hoping and I was pretty ambivalent about the whole thing. I’ll read the second one because the writing was reasonable and it was fun to read but it wasn’t the stand out read I was expecting. Ditto The 5th Wave by Rick Yancey actually. 3. Most surprising (in a good way) book of 2013? 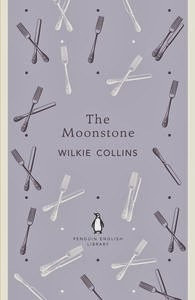 The Moonstone by Wilkie Collins. In 2013, I read more classics than I usually would and generally found the whole experience to be a lot less intimidating than I expected and read a few books I’ve been meaning to read for years. I picked up a slight addiction to the Penguin English Library editions along the way and The Moonstone was my first addition to that little family. There will be more Wilkie Collins SOON (especially seeing as Laura bought me a PEL The Woman in White for Christmas because she is a wonderful lady). The Moonstone was funny, charming and packed full of characters that I didn’t want to stop reading about. The mystery wasn’t quite the focus that I thought it was going to be but what Wilkie did write about was just perfect. Thanks, Ellie LIt Nerd. 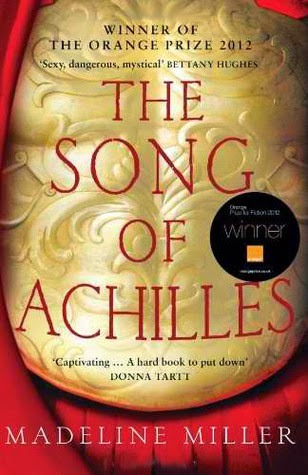 The Song of Achilles by Madeline Miller, I think. SOME PEOPLE will hopefully read it soon. Also, The Humans by Matt Haig got quite a few mentions. If it counts as “recommending”, I also bought The Universe versus Alex Woods by Gavin Extence for a good couple of people. Either The Blood of Eden series by Julie Kagawa (review of the first book, The Immortal Rules is here) or The Curse Workers series by Holly Black (review of the first book, The White Cat is here). Both are pretty original, which is basically what earned them their spots here. I started a lot of series in 2013 (as I do every year) but these are the ones that I’m really glad I came across. 6. Favourite new author you discovered in 2013? That is extremely difficult because I thinkg most of the books I read this year were by new-to-me authors. I think in literary terms, I’d say Margaret Atwood. In pure entertainment terms, I’m kind of inclined to go with Gillian Flynn because I’ve read two of her books this year (Gone Girl and Dark Places) and already own her third. She writes books that I find terribly addictive and that should count for something, definitely. HHhH by Laurent Binet. I read very little non-fiction and find the idea of reading non-fiction distinctly off-putting. I picked up HHhH originally because I liked the cover and it had red page edges with the title on them but I surprised even myself by actually deciding to read it and then by loving it. If you’re in any way interested in World War II history, this is an outstanding book. Either Gone Girl by Gillian Flynn or Catching Fire by Suzanne Collins. I sped through both and only put them down when absolutely necessary. Also, I have noticed how often I’m giving two answers. Picking just one of anything is hard! 9. 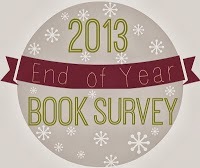 Book you read in 2013 that you’re most likely to re-read next year? *sigh* Sorry, friends, but the answer to this hasn’t quite changed yet. I’m not a re-reader so I’m almost certain that no 2013 reads will be on my 2014 agenda. 10. 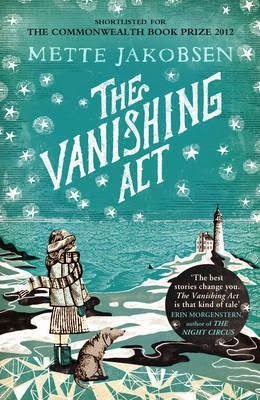 Favourite cover of a book you read in 2013? You can’t see in this picture (obviously) but the stars on the cover are all silvery film and sparkly and adorable. Seasonal perfection. Offred from A Handmaid’s Tale by Margaret Atwood. The Humans by Matt Haig had the most phrases highlighted in it and contained my favourite chapter of the year. Bellman and Black by Diane Setterfield was also impeccably written, atmospheric, clever and really made me want to take my time with reading it. Ok, here’s the point at which we start to get repetitive! The Humans by Matt Haig. Again. It’s hard to describe why without sounding cheesy but it’s full of poignant observations and lovely little soundbites about being human and it’s just brilliant. 14. Book you can’t believe you waited until 2013 to read? The Handmaid’s Tale. I went to an all girls’ high school and I am astounded (and disappointed) that this wasn’t part of the English Literature syllabus. 15. Favourite passage/quote from a book you read in 2013? GoodReads tells me that the longest was Cross Stitch/Outlander by Diana Gabaldon at 864 pages, narrowly beating The Game of Thrones by George R.R. Martin, which comes in at a 807 pages. The shortest was Swimming Home by Deborah Levy at a quality-over-quantity 157 pages. Gone Girl by Gillian Flynn. I started lending people my copy just so that they would feel compelled to read it and could talk to me about it. One such person managed to destroy my copy but that’s a wound that I won’t rub salt in right now. Ha, you thought I was going to come up with something unique, didn’t you? I’m not. I’m going to say Patroclus and Achilles from The Song of Achilles. Oh, how I cried over that relationship. 19. Favourite book you read in 2013 from an author you’ve read previously? Out of the 62 books I read, there were only ten contenders for this particular accolade, which is just…a bit odd. I never thought I would be saying this back when I started this blog but Joyland by Stephen King. The fact that I now read and like Stephen King is…astonishing, quite frankly. 20. Best book you read in 2013 that you read based SOLELY on a recommendation from someone else? Phewf! This is getting hard! Swimming Home by Deborah Levy. I might have eventually picked up and read this but my Dad bought it me for Christmas in 2012 and I read it early on in 2013. It packs a heck of a punch for a relatively short book and I definitely recommend it. I could sit and calculate this properly but I don’t really want to because Sherlock is on in 45 minutes and…well, I don’t want to still by typing this by then. Sorry. Instead, I’m going to make an educated guess at fantasy because it looks that way to me from GoodReads and it’s one of my favourite genres and I read it a lot. I don’t really go in for the whole “book boyfriend” thing but the Darkling in The Gathering Dark was probably the closest to fancying a fictional character this year. 23. Best debut book you read. Either The Song of Achilles or The Universe versus Alex Woods. I know, we’re all shocked. Ooh, good question. 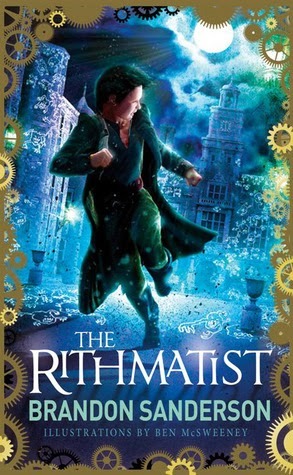 The American Isles of The Rithmatist by Brandon Sanderson. The characters fight using chalk drawings and the detail that was included in the book about the rules governing the use of the drawings was amazing. I suppose that the world itself wasn’t that unique (picture a boarding school with magic-doing students…) but the magic used and the history included about this version of that setting were impressive. The most funny (or funniest…whatever…) was Hyperbole and a Half by Allie Brosh but I think that the most fun was The Rithmatist by Brandon Sanderson. Illustrations and chalk drawings that come alive (sort of)? Don’t mind if I do. I did quite a lot of crying in 2013, as I do every year. Those this year that had be blubbing (off the top of my head) were: The Song of Achilles; HHhH; Perfect by Rachel Joyce; Ketchup Clouds by Annabel Pitcher; Bel Canto by Ann Patchett; and, A Tale of Two Cities by Charles Dickens. Erm…I haven’t a clue. Most of the books I read and loved have been given their moment so I don’t feel that any gross injustice has been done. 28. Did you complete any reading challenges you set for yourself at the beginning of the year? My only “goal” was that I would quite like to read 55 books in 2013. It’s always hard to tell how busy work is going to be so I don’t like to set a huge goal and not reach it. I’ve been quieter towards the end of the year so I’ve toppled 62 books. Win. 30. One book you didn’t get to in 2013 but will be your top priority in 2014? I tend to just read whatever I feel like reading at the moment so there wasn’t anything that I was dying to read that I didn’t. I kind of feel as though I would have liked to have read the Sarah J. Maas books and I’d quite like to read them in 2014 but that’s a pretty luke warm response. Oh, also Eleanor and Park by Rainbow Rowell. Handily, I own all of those already. 31. Book you are most anticipating in 2014? I don’t really keep up with new releases and things because I’m nowhere near organised enough but I’m pretty keen to read the end of the Blood of Eden series and I think the final book is out in 2014 so let’s say that. 32. One thing you hope to accomplish in your reading/blogging in 2014? I’d like to say “post more regularly” but I start a new job in six weeks so that’s unlikely. I’d like to not get behind on reviews and I’d like to do a 24 hour read-a-thon “properly”. I’d also like to read more classics and am thinking of joining the Classics Club to spur me on but 50 classics in five years is pretty much one a month and that’s a lot. Just keep reading might be the main thing when I’m working in a new place and will be driving to work instead of getting public transport. I may need audio book recommendations! I’d also like to add a couple more blogger meet-ups to the epic one in Leeds in October. Because if there’s one thing that is super about blogging it is the other bloggers. What an abrupt and unfulfilling ending! Sorry, that kind of snuck up on me. 2013 was a top year for reading, even if most of the books that I read never quite made it to being reviewed. 2014 will be better for that! YEY 2014! !